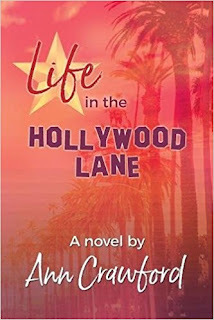 Today, Feathered Quill reviewer Ellen Feld is talking with Ann Crawford, author of Life in the Hollywood Lane. CRAWFORD: My background is allllllll over the place -- literally! I've lived in all four continental time zones...from sea to shining sea to the prairie to the mountain (and, yes, I totally know I'm mixing my patriotic songs here). I've traveled to 65+ counties (and counting) as well as all 50 states. I try to bring the fascinating people I've meet and places I've been into all of my books, and they especially show up in this one. I feel like just about everything I've done in my life prepared me to write this book. 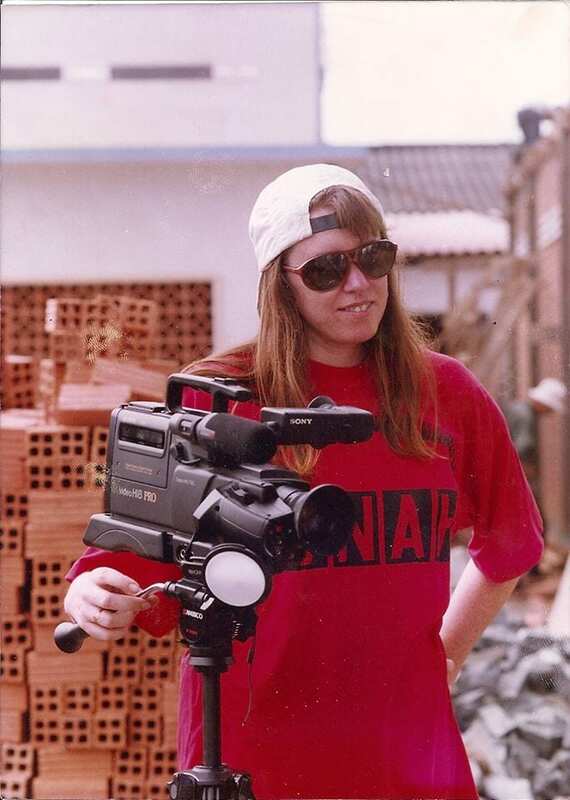 I lived in California for many years and worked for a while as a documentary filmmaker and as a talent manager. The devotion my group of actors showed to their craft and how hard they worked -- and how hard "the industry" is -- left a profound impression on me. As I was reading through the book to finalize it, I realized that not much in my life could've been different in order to make this book the way it is. Lots of the travels I've done, people I've met, filmmaking and screenwriting classes I've taken, myriad jobs and plays and movies I've been involved with, fellas I've dated (not quite as many as Trish, though), plus a lifetime of books and articles I've read and movies I've watched, not to mention the tragedies I've faced and mistakes I've made all make an appearance in this book. It's quite a conglomeration! CRAWFORD: I've enjoyed writing since I could hold a pen. Books were a revered item in my household as I was growing up, and I knew I'd be a writer someday. 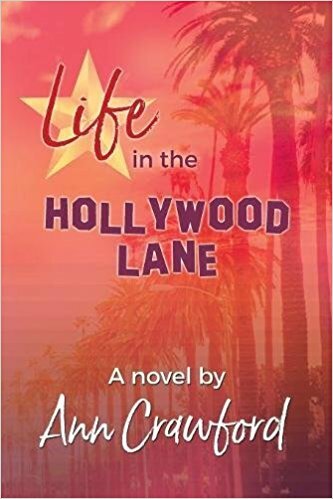 CRAWFORD: In Life in the Hollywood Lane, Trish, a 40-year-old actor, travels the journey of grief with dedication if not always grace, learns the ins and outs of how "the industry" works, follows her dreams, and finds that this crazy life might not be as bad as she'd convinced herself it was. While this is a book about a woman whose best friend commits suicide, it's funny, quirky, wise, and inspirational--not a downer. Taking a true tragedy and giving the path of grief its full due, while still being considered a humorous book, makes my book unique. I also provide a lot of insights into the movie industry from an insider's view. CRAWFORD: I worked in talent management for a bit, and one of my actors committed suicide. A dear friend also committed suicide a number of years ago, so it's certainly something that's been on my mind. The other inspiration was falling in love with (I love very easily, LOL) and admiring all of the actors I worked with...they work so hard, are so dedicated to their craft, and are amazing being. Hollywood -- both the place and the industry -- can be so tough on people. CRAWFORD: I find having a routine helps the writing process more than anything. I also have a special playlist that I develop for each book. 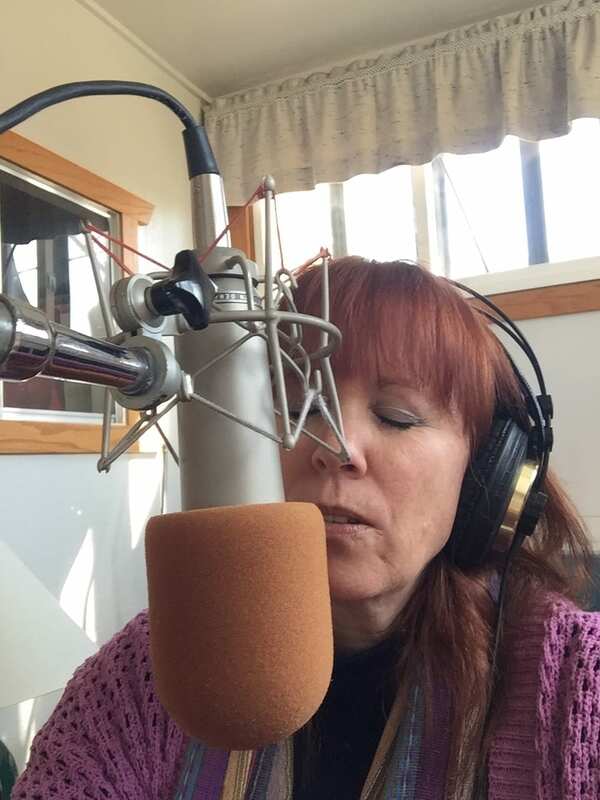 So as soon as I sit down at the appointed time and turn on the appointed music, I'm like Pavlov's dog and the writing flows (well, usually...some days it's just not there and I'll go do something else). Ideas come to me at all times of the day or night, so I keep a notepad handy. That can be a little challenging in the shower, a place where ideas really tend to come for some crazy reason. But I just summarize the idea to one word, and I can usually remember that word to write down the whole idea. If I don't do that, the idea often dissipates like a dream. FQ: Are any of the characters based on real people you know? If so, how closely does your character mimic the real person? CRAWFORD: As I mentioned, I worked in talent management for a bit, and one of my actors committed suicide--an utter shock to everyone who knew her. About a year later, I started writing the book based on that event and from the point of view of her best friend, but the characters are completely from my imagination and aren't based on the real people involved. FQ: Tell us about your favorite character and why that person is your favorite. CRAWFORD: I love Trish, the shero of this story...although Cyndi, her BFF who died, is a shero of her own journey and I definitely love her, too. 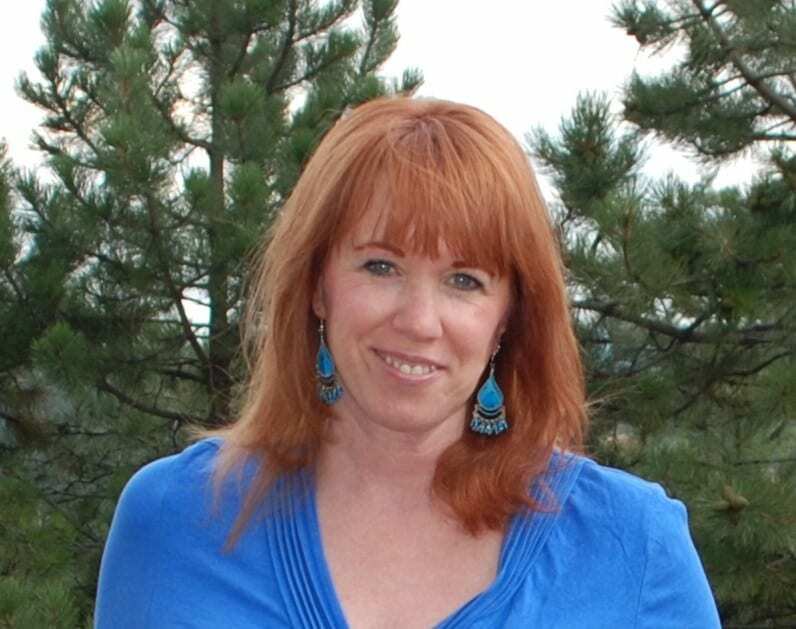 Trish is quirky, funny, playful, passionate, and dedicated to seeing her dreams come true. She's been compared to Bridget Jones more than once...so she's weepy, loopy, silly, and bit all over the place, as well. She's real, and that can be messy sometimes. But she also has a phenomenal power inside that she discovers and allows to make an appearance in her life. I have family in Wisconsin and have spent a considerable amount of time there. When I told a family member that my book's star is from Wisconsin, she said, "And of course you made her virtuous and perfect!" (Actually, she didn't say "perfect," but something close.) I said, "Of course not! Who would want to read about someone who's totally perfect?" Trish has her faults and foibles, but she takes on her challenges and carves out a remarkable life for herself in one of the toughest industries and places to succeed. I adore this person! FQ: What was the most difficult scene to write and why? CRAWFORD: Well, after writing about a crucifixion and a burning at the stake in other books, this was a breeze! Well, maybe not quite a breeze, but this book was far easier than those two others were. I lost my mom at a young age. I went through a divorce. A dear friend committed suicide, as I mentioned. My brother has a terminal neurological illness and is very slowly winding down his life. Drawing on the memories of grief and adding the current grief about my brother helped me write about Trish's pain in a very real way. There are a couple of scenes where Trish is overwhelmed with her pain and screaming at the world and at her friend, and those were the hardest to write in this book...but, still, this was nothing compared to some scenes from previous books! FQ: Was it important to you to have a plot that would keep readers guessing about the outcome? CRAWFORD: If I'm writing a book, it's bound to be a love story! So anyone who's read a previous book knows falling in love will probably be an outcome. Many of the other elements of the outcome happen gradually throughout the book, so it wasn't too important to keep folks from guessing what would happen.